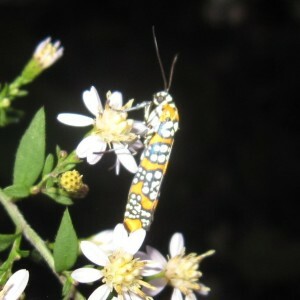 Ailanthus webworm larvae feed on the young leaves of Ailanthus altissima or tree-of-heaven seedlings and small saplings to eventually morph into beautiful moths. The Ailanthus moth arrives on Long Island from Florida in early July and its larvae and webs can be found feeding on young trees-of-heaven. Pull out the dying seedlings along with their web worms and place them against other seedlings, root suckers or shoots. 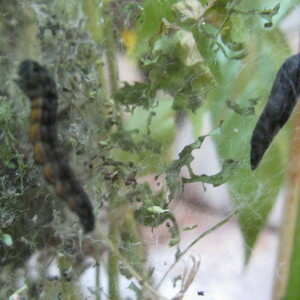 The larvae should move to the new plants and renew feeding. Monitor the progress of the larvae as they morph into pupa. The pupa will not survive Long Island’s winters but — who knows — they may evolve to overwinter.